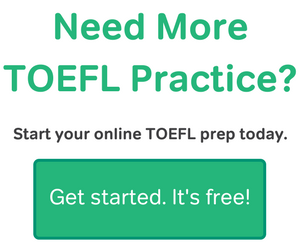 Lastly, if you’d prefer to study online with lesson videos instead of a book, be sure to check out our own TOEFL prep. 🙂 Happy studying! I would like to know about how good Kaplan’s TOEFL IBT book is. You’re in luck—my book review of Kaplan’s book just went up today! I don’t know much about Delta’s Key to the TOEFL Test. Would you like to do a review for this book? Thanks. I do plan on reviewing Delta’s book—that’s next on my list!—but it will be some time. It may not be posted for a month or two. I have some other things I need to work on for now, and then I’ll continue the book reviews as soon as I can! I purchased Cambridge’s TOEFL book. I like their practice tests and considering how they have mentally prepared me for the examination. The book is great with 8 practice tests and a few section mini-tests. What I am looking for is another resource which has a good number of TOEFL IBT questions(of say Speaking questions 1,2 and writing questions 1 or some listening questions). Personally,I am not looking at building micro-skills, but I just want more practice(and that too, not full length practice tests)! (For instance, 15 questions on listening and another 15 on the integrated writing section). Is there a resource like that? The best resource for additional practice is probably the book of 5 official practice tests. You don’t have to use it for full-length tests. 🙂 There are, admittedly, only a few of each type of speaking and writing task because each test has only one set of six speaking questions and one set of two essay questions. But that, paired with all of the material in Cambridge and the material in the Official Guide, is enough for most students. Do you need even more than that? So, if I have understood this right, then there is a separate book for a set of 5 Official TOEFL IBT tests, apart from the Official Guide, which in itself has three practice tests. But, do these five tests overlap with the above 3 or the ones as free material on the ETS website? Hii Lucas. Please review the Nova toefl preparation also. Noted! I will review Nova in time, but I’m afraid there are some other books I’d like to review first, and I’m not actively reviewing right now. My next review might not be posted for a few months. Thank you for the request, and I’ll definitely review Nova eventually! Could you please recommend me books for toefl exam…..I don’t know which ones are best. For most students, I recommend the Official Guide or the book of Official TOEFL iBT Tests together with Cambridge Preparation. Cambridge is best if you can buy the 8 audio CDs, too. The Complete Guide is also quite good, but it doesn’t come with answers to the questions, sadly—you have to buy a separate answer book. But that’s comparable to Cambridge. hello, ı have read your book reviews and i have now barrons and ETS official guide. (actually i have had barrons for many years but now began studyin it) but there is sth that is confusing to me. when i am preparing for speaking section, i take barrons practice tests from its cd. but it seems that barrons speaking questions (type 3-4) and example speeches are really different than what i learnt from other sources. what would your reccommendation be for this issue? do you think it worths to practice speaking from barons? or it causes misunderstanding? because it made me feel bad. also what can ı do to improve speaking strategies in 3 weeks now? thank you. You’re right that Barron’s material isn’t very good. The speaking task recordings are not like the real test—especially task #3. It seems they didn’t spend much time researching the TOEFL before they wrote the book and recorded the material. :-/ I don’t recommend using that book, if you have other options. The book of Official TOEFL iBT Tests is probably the best resource for just practice in your last few weeks. It sounds like you have already learned the format of the test well, so I highly recommend buying those practice tests for the last 3 weeks! To improve your speaking in such a short time, I think the most important thing is to do a lot of practice TOEFL questions. And do them more than once—repeat a question multiple times until you feel you gave your best possible answer. Your goal is to know exactly how much time to spend on each part of your answers and exactly what to expect from the each question. If you are very, very familiar with the format, you’ll be much more comfortable on test day! You’re welcome, and good luck on your TOEFL! What is your opinion on the TOEFL iBT Value Packs? – TOEFL Practice Online: These tests are the closest you can get to a real TOEFL experience. They’re normally too expensive, though ($45 each, and you can only take it once, with no answers and explanations), and the automatic scoring for the speaking section is really bad. The value pack makes this a better deal, but the book of five official practice tests is still the best deal for your money (although the total experience is pretty different from a test on the computer). – The Official Guide to the TOEFL Test: Every student should buy this book. (Or possibly the book of practice tests, paired with a different book that explains strategy). – Engaging English Reading Service: I haven’t used this, I’m afraid. I’m not sure how helpful it would be, but keep in mind that it’s only relevant for reading, a fraction of the full TOEFL. – Five TOEFL iBT Additional Score Reports: These are helpful if you’re applying to many schools. – US$35 Next Test Discount: This is basically insurance. If you think you might need to take the test more than once (e.g. you need 100+ and don’t use English regularly), then it might be a good idea. I would like to know about 400 Must have Words for the TOEFL? Good question! I’ve been meaning to review that book for a long time. 🙂 But it may be a long time before I actually write the review, because I’m working on other things at the moment. In the meantime, my first impression of the book is mixed. Many of the words aren’t really appropriate for the TOEFL, especially if you’re only looking at 400 words. That is, many of them are not “must-have words.” You would do better to study the academic word list. That list is much more appropriate, although easier. That said, “400 Must-Have Words” does have some exercises to help you remember the words and see them in context. There’s not enough, but there is a bit, which is better than none. Again, I’ve only looked at the book quickly, but I don’t think I would recommend it highly. i am so glad Ive found your website and the content is written actually by a TOEFL expert. I have a question ,I am going to take my exam in about 8 months or so (2 months before the university intake )I have already started vocabulary books of 504 essential words ,TOEFL essential words Barrons,1100 books you need to know and 400 essential books for TOEfl,,,I have finished most of them except the two last ones,but when it comes to skills I get so overwhelmed ,have no idea to study that or practice and choose a plan for my time not to just prepare and get a +100 score but also improve my level of English significantly.Which books to srat with or how to stay in the plan in this period.Any suggestion?thank you so much! – Continue improving your vocabulary, but don’t focus only on that! The TOEFL is a test of communication, not just vocabulary. – Listen to English lectures, podcasts, and presentations often, and read English texts too. This post has some great resources. – After listening to a presentation in English or reading an article from an English news site, summarize it! Do that in speech sometimes and in writing other times. – If you can use your English in conversation with anybody, do that! Ideally, you’ll be able to speak with a native English speaker regularly. Basically, you want to use English as much as possible—every day! And then you’ll also study the TOEFL, specifically, by doing practice questions and skill-building exercises from a good book. What is the best book for TOEFL prep I have about 2 weeks to go for my exam. You’ll find my answer to that in response to Arshiya above. But it you’re only studying for two weeks, you might not need such thorough books. The official guide (and possibly the book of official practice tests) would make more sense for such a short time. what about longman book for TOEFL ibt ?? Thanks for asking! I plan on reviewing Longman’s book when I can, but we’re not working on new book reviews at the moment—it might be months before I publish a review of that book, because we’re working on improving our own TOEFL product at the moment. I’ll get to it as soon as I can! Sincerely appreciate your reviews……they’ve been really helpful.However, the books are just too many , such that picking the best is sort of difficult….I’ve got 3 months to prepare, and i really want to smash it….what books can you recommend…..thanks for anticipated response. I have a little less than 4 weeks to study for this test. I’m a native English speaker, so I think I can get a decent grade even though I don’t have much time. however, I would like to know which books would be the best to work with in this short amount of time. I am not a native English speaker, and i don’t know about the format of the TOEFL test and also i would like to improve my skills, which Book (or books) do you thing could be the best for me ? For even more tests, Cambridge is a good purchase. The quality isn’t perfect, but it’s good, and there are 7 full practice tests on the CD that are very similar to the software of the real test. I’m going to take my Toefl exam after three months and I read the Long man for reading and listening part and I’m studding essential but about writing and speaking I work on Answers to all TOEFL Essay Questions book for writing task 2 and I don’t start speaking part yet and I just start the Nova’s. But I think I have a lot of problems on reading and listening while I’m not sure about writing and speaking and specially time management. I want to work on Tpo’s test for last month and for the rest two months what would you recommend for me, which book or software? It sounds like you want preparation for all parts of the test! My favorite books to date are Cambridge and Bruce Rogers’s Complete Guide, but I haven’t yet reviewed Longman or Nova, so I can’t much about the books you’re already using, I’m afraid. I have used Longman for practice questions in the past, but only very briefly, and I have not done a thorough reading to rate the overall quality. But make sure you have all the official material, first! The official guide and the book of official practice tests are the best resources for high-quality practice material. I have bought Cambridge toefl book as your recommendation. But, what do u think this cambridge book compared to the Oxford toefl book?? Thankss. Good question! Both Cambridge and Oxford have a few questions in the reading and speaking sections that aren’t well written, but are good books otherwise. Cambridge is great because it has a lot of exercises for building skills (like note-taking), so I recommend it for self-study. Oxford is much better for classroom courses, with a teacher and other students. I have a question , although it is not relevant to your topic , that is : Will the content of the real test overlap with the previous? Or it will change every test? Happy to answer! No, there will be no overlap. There might be some similar topics, but there will be no questions repeated exactly the same. For example, you might see text about dinosaurs on one test, and you might hear a lecture about dinosaurs on another test, but they will not be exactly the same material—the main details and purposes will be completely different. What about the LONGMAN’S books? I felt that except the listening section, very other aspect of the test are resembling the quality and standard of the practice tests,but, the listening part was quite tough in the exam than was in the practice tests. What books would you like to suggest me if I wish to score more than 105? apart form the official guide ? Which is most preferred by you,Cambridge or Barron’s? I definitely recommend Cambridge more than Barron’s! Cambridge is, in total, more similar to the actual test and has better skill-building exercises. Barron’s is only attractive because it is cheap. The book of Official iBT practice tests is also a great book to buy, but it doesn’t have those skill-building exercises that unofficial books have, which I think will help. I just have this book, and any one mentioned it!!!!!!!!!!!!!! hi… had question regarding practice tests in official book 3rd edition and 4th edition…do these tests overlap with each other?…also would that be enough to go through the 4th edition rather then going through the both 3rd and 4th ? Have you ever reviewed the Longman preparation course for the next generation iBT by Deborah Phillips? I’m going to be teaching my first TOEFL prep class soon, and I’m trying to decide the best book to use. Which do you think is best to use as part of a class and not just for self-study? That’s awesome! Welcome to the world of teaching the TOEFL. 🙂 It’s a really unique test, so I hope you have fun with it. For classroom settings, I recommend “Oxford Preparation.” I haven’t written a formal review of it yet, but that’s been my favorite book to use with groups of students since the first time I used it. It has flaws (some of the questions aren’t well written, with debatable answers), but the themed chapters, the group activities, and the conversation topics are both indispensable and surprisingly rare in TOEFL books. The vocabulary included is spot on, too, and there’s an abundance of practice material. But I definitely recommend using material from Official TOEFL iBT Tests, and possibly the official guide, too, even if it’s only via photocopies. I would like to know if TOEFL® Online Prep Course is useful for toefl test preparation?? We don’t usually review other online test preparation, because there is too much possibility of bias when talking about the quality of competitors. But the material in the official ETS “TOEFL Online Prep Course” is top-quality, because it is official. The actual format of the study material, the lessons, and the skill-building practice are not perfect. It seems that the product was made for classrooms (by the book publisher Heinle), not for individual study. If you have already used the other available official material, then that course might be useful because it includes more material. I thought I’d ask your opinion on what would be the best book for me to refer to. Although I studied in a foreign country, I completed all my grade schooling in the states and thus am a fluent English speaker. I am looking for a book that focuses more on the test itself rather than mastering the English language. The official guide mostly describes the test, rather than explaining how to take it or what skills you need. It sounds like that would be most helpful for you! But if you have lived in the United States for an extended period and attended school here, then you should contact the universities that you’re applying to and check whether the TOEFL is required for you, if you haven’t done that already. It might not be necessary! Which book shall i take for TOEFL preparation barrons official guide or kaplan guide or the ets official guide? As per the suggestions , I plan to buy toefl official guide and Cambridge book . One question I have is , will these practice tests give us the scores too like real toefl ? How does rating for speaking and writing work ? Reading and listening are scored in both the official guide and Cambridge, but speaking and writing are not, I’m afraid. But both books give you guidelines for evaluating your own responses. It helps if you record your answers, then return to them a few days later to compare your answers with sample responses. By comparing, you can judge your own score. I hope that helps a bit! I plan to buy Cambridge and the ETS official guide. How about toefl practice tests and skill books issued by Collins? One additional question, any books recommended for TOEFL vocab ? The first place to go for TOEFL vocab is the academic word list. I haven’t found any vocabulary-specific books that I like, yet (learning vocabulary from practice material, in context is generally a better method than memorizing the word lists in most books). If you don’t have the CDs, the Cambridge guide isn’t as helpful as other books that do have listening. Among the four you mentioned, I’d suggest Longman, but don’t forget to buy some official material! I will so glad with you. Have you read through my reviews? The official material is the best place to start if you don’t know the test well, and it has the best practice material. If you would like more skill-building practice, I recommend either Cambridge or The Complete Guide. You can read more about them in the individual reviews. 🙂 Happy studying! Hi, Thanks for the good efforts your are doing. Your article helped me a lot in my search for a book that could help me in my preparation for the TOEFL. Now I want to choose between 2 books: Cambridge Preparation for the TOEFL Test and Oxford preparation course for the TOEFL iBT Exam. I’ve already read your review for the Cambridge book but I didn’t find any review for the Oxford book. I would appreciate if you can give me a recommendation about which book to buy. I don’t want a complete review for the Oxford book, I just need to know which one of the 2 books is better in your opinion. I’m an English teacher and I want to know everything about TOEFL in order to get my learners ready for it. Can you recommend a book I can use with my learners? Sure! For classroom use, I’d recommend Oxford Preparation Course. I haven’t published a book review for it yet, but will soon. If you are working with students individually or in very small groups, I’d recommend either Cambridge or The Complete Guide, both linked above. But in either case, be sure to get the book of five official practice tests to supplement with official material! I have not done the TOEFL test before, I have two months to prepare for it . Which is better to buy The Official Guide book or the Cambridge Preparation book ? also, Is it possible to finish studying the both books in this period? Neither book is “better,” because they have different purposes, in a way. If you need a lot of improvement on underlying skills (like note-taking), the Official Guide alone isn’t enough. But the official books have the best practice tests, so you can learn the format and difficulty of the test better. It’s certainly possible to finish both books in that time, but I’d estimate it would take around an hour of study time every day, possibly more, depending on how many full-length practice tests you take in one sitting. Any feedback/review on notefull? I am considering to buy their program. I’m about to start teaching TOEFL preparation to individual students. What do you think of the second edition Longman Preparation Course? Would you recommend something better? Hi! I’d love to be able to shed light on the quality of Longman’s material, but I haven’t used it more than once or twice, to be honest. There are a lot of TOEFL books out there, and that’s one I haven’t spent much time with yet! I do plan on reviewing it eventually, but I don’t know when I’ll do that, so in the meantime, I do have other recommendations in case you’re uncertain about Longman. Generally, that’s official material and either Cambridge or the Complete Guide for skill-building material. It helps to have copies of both official books for yourself at least, by the way, even if your students don’t have them, so you can photocopy the practice tests. I hope that helps just bit! I’m sorry I can’t say more about Longman just yet. What about Longman Toefl? Do you think is good material for practice and feedback? Thank you for your time; your reviews were insightful for me. 4- Mastering Skills for the TOEFL iBT. I don’t have reviews of any of those books yet, so I can’t say much about their quality now, but I’ll note them to possibly review later. Thanks for the recommendation! First of all, thanks for your efforts. Your reviews are helpful. We haven’t reviewed Nova’s book yet, but I’ll keep it in mind for future reviews! Hi, thank you very much for your helpful reviews and comments. Could you review the TOEFL books from Collins: Skills for the TOEFL iBT Test (both L&S and R&W) including Key Words for the TOEFL Test . I’ve just bought these books and found that, among the TOEFL books on the market today, they’re the best (at least in my opinion). They’re really great in skill-building and lots of tips for testing. Anyway, I’m worried that the listening materials might not be as real as the Official Guide. My question is about ETS the Official guide book and Offical IBT TOEFL TESTS. In the guide book, I have noticed that reading and listening practise sets and tests are easier than real exam. For example, in the real exam, there are usually 14 questions for each article and lectures are at least 5 minutes. However, in the book, there are 13 questions.And lectures are shorter about 3 minutes. questions in the reading and listening are very easy. They dont look like real exam questions. I have little disappointed, my expectation was more that because this is ETS book. They know very well how the real exam is. Actually I was planning to buy Official IBT Tests book but after this experience I am not sure. I was wondering what your opinion about Tests book(5 Tests). Does it look like the guiede book, shorter and easier. I am ok about strategies. I just need more and more practice. Do you have any advice for a practise book. Should I buy Official test book? I really like your blog and your opinion is important for me. That’s a good question—you really noticed the little details! Some of the material in the Official Guide is a little bit old. That’s why it doesn’t perfectly match the current TOEFL. Early versions of the TOEFL iBT had 13 questions on reading passages which would have 14 questions on the current iBT, and yes, the lectures tended to be a little shorter. But keep in mind there is a range! Some lectures are not over 5 minutes in the current test. In fact, practice tests 2 and 3 in the official guide are the current format of the test. Only the material in the chapters describing the sections and in the first practice test are old. Tests 2 and 3 are like the tests in the book “Official TOEFL iBT Tests.” That is the best set of practice material you can buy in a book. Keep in mind that all the material in both books actually appeared on real, past TOEFLs! ETS did not create them for the book. If the material doesn’t seem quite right, it’s because there have been small changes to the test since the book was published. I’m an English teacher and ran across a new (I assume) book by NorthStar that combines their “Building Skills for the TOEFL iBT” with practice “sets” from ETS. Are you at all familiar with this one? They’re broken down by level, i.e. Intermediate, Advanced, etc…, but the Advanced version looked pretty thin, maybe 200-250 pages so it shouldn’t take too long to review if you have some time. I’d be curious what you thought about it. Interestingly, the set has been around since the release of the iBT (2005), but it’s just not very popular. I haven’t used them before, but I should definitely review the three books. Thanks for the recommendation! But until then, I should note that because the books are fairly old, the content is likely outdated. In it’s first few years, the iBT underwent a few small changes. It’s also likely that the official material included is found elsewhere, since in the first few years ETS had very little sample material to draw from (they usually use material from past, official tests for books like these, and not that many real tests had been written yet to draw from). Actually I have just completed my test. Overall, it was quite bad. Really bad.It was much worse than expected. I screwed up the whole speaking (the person sitting to me probably laughed all the way (inside their heart, of course) when I was speaking) and some listening section. In the whole speaking section, I could not address the issues and questions fully. It doesn’t help that my heart was bumping so quickly. I lose my focus during first two or three listening section, too. Btw, I would like to try the Magoosh preparation course. Can you explain the procedure and what I should expect from them? Is there any facebook group or something? Thank you for your time; your reviews were accurate for me. I saw myriad Academic listening resources . I would like to hear your comments about The best option and Magooshian offers for this section . I can get this one, Lucas! 🙂 The best TOEFL Listening resources are always the official ones. So look for stuff published by ETS, as well as ETS’s official free online Listening resources on their Quick Prep website. The Cambridge book listed above also has excellent Listening practice, and The Complete Guide to the TOEFL has listening that’s reasonably good, although not 100% true tot he exam. As for Magoosh’s offerings, we have a lot of Listening material in our TOEFL question bank for premium subscribers. We really do make an effort to ensure all of our Listening tracks are very similar to the ones you’d hear on the exam itself. There’s no substitute for “the real thin”— practice materials directly from ETS– but I definitely would say that Magoosh provides good Listening practice that goes well with other top ETS and third-party Listening materials. Im currently preparing for Toefl using the ETS Official Guide and Barrons 14th edition. I have completed the reading and listening sections in both the books and scored satisfactory marks. i have started prepping for the speaking section and on the ETS i found that i was doing well but when i practiced barrons, i lost all my confidence. Felt like i could not follow their lectures, lost focus, was unable to take notes and yes the answer script seemed unnatural, it really is scripted! Can u help me find a solution to improve my speaking and writing skills and also note taking skills? As you’re learning, Sanjana, Barron’s can be easier on average than the TOEFL itself, especially in terms of reading passages. Starting to practice with authentic TOEFL materials form ETS is a good first step toward upping your game. As for what you might do to improve Speaking and Writing, the best way to do that depends a lot on you. Think carefully about what your weaknesses are in these areas, and also figure out what your strengths are. Then work on addressing your specific weaknesses and building on your strengths. Note-taking techniques can be more “one size fits all.” By this I mean that the note taking techniques that work for one student will probably work for everyone. On our blog, we offer a lot of note-taking advice for the TOEFL. 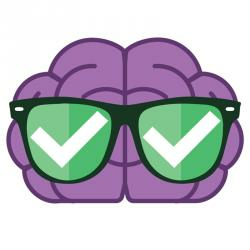 For tons of useful note-taking advice and tutorials, check out the first several links in this custom search of our blog. This is a good question, but a kind of tough one. There aren’t a lot of books out there that really specialize in just the Speaking or Writing sections of the TOEFL. The few books I see listed on Amazon.com that focus on TOEFL Speaking and/or Writing either lack a CD and just focus on Independent Tasks, or seem to be inauthentic and not really true to the test in other ways. There are certainly a lot of good sources for practice Independent Writing and Speaking tasks, both in book form and online. That being said, for your issue– getting nervous and not knowing what to say, I’d recommend focusing more on strategy than on practicing as many different problems as you can. In fact, I often have my students just repeat the same Speaking and Writing tasks over and over, making revisions and changes until their responses are near-perfect. This can actually help you do better on brand new questions once you encounter them, because you actually learn a lot from re-doing a Writing or Speaking task. By repeating tasks until you get them right, you learn the skills you need and the steps you must take to get a top-scoring response. And you slowly reach a point where you understand the skills and steps so well that you can start producing good responses confidently, on the first try. Hey, what about Deborah Philips’ Preparation course for the toefl? Hi, what about The Princeton Review’s Cracking the TOEFL iBT (2016) ? We haven’t reviewed the 2016 update yet, but you can read Lucas’s review of the 2014 edition of Princeton Review’s Cracking the TOEFL iBT here. Do you know if Collins TOEFL IBT listening and speaking is a good book? I don’t know if it would be a good idea to buy it. I read a bad review and I don’t know other reviews. Please, help me decide if it’s a worth idea to buy it or not. I’m familiar with Collins learner Dictionary (which is useful), and Lucas has given their TOEFL vocabulary book glowing recommendations. But I’m honestly not sure what their broader take on the TOEFL is. There don’t seem to be many reviews out there for Collins TOEFL either. Lucas is planning to review Collins TOEFL eventually, though. So watch this space! What about TOEFL® Practice Online and TOEFL® Practice Online Speaking Series from ETS? Have anyone used these materials? Please share to me, such as is it has answer or explanation? Now, I’m considering to buy it or not. TPO doesn’t come with answer explanations. It’s more like a simulation of an exam than an actual guide. TPO’s grading system for Speaking isn’t all that helpful, since it’s done automatically by computer. (Real TOEFL Speaking is graded by a human being who uses a rubric.) 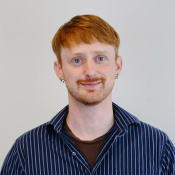 Lucas does a full review of TOEFL Practice online/TPO here. And you actually get a generous number of questions from TPO free of charge if you enroll in the TOEFL’s official, tuition-free online class through EdX. I have around 20 days to prepare for TOEFL. Please suggest the books, online resources and a study pattern that will help me get the maximum score. Though a study pattern is individualistic, i think you will be able to suggest a method that has worked for most of your students. Magoosh actually actually offers some general TOEFL study plans. Since you have between 2 and 4 weeks to prepare, I recommend putting together a slightly shorter, modified version of our one month TOEFL study plan, or creating a slightly longer version of our two-week TOEFL study plan. If you have a Magoosh TOEFL Premium subscription, you can use either of these plans almost exactly as they are, since the plans call for TOEFL Preium practice from Magoosh. If you aren’t a Magoosh TOEFL subscriber, consider replacing Magoosh TOEFL with TOEFL Quick Prep, other ETS TOEFL books and resources, and free materials from this blog. Please help me to review Succeed in TOEFL iBT Practice Tests by Global ELT (with 6 practice tests – advance level candidates). It seems a good book for practice but how about the authenticity of the test material and the explanations? Although the authenticity can’t surpass the real tests inside all practice tests by ets (am I right? ), I need to know the quality or level of the tests material in this book compared to the real test. As you mentioned previously that Official TOEFL iBT Tests (vol 1 & vol. 2) has poor explanations, are the explanations in this book good enough to know why the answer is right (they claim that the book has detailed JUSTIFICATION of the Answers for the Listening and the Reading parts of each practice test). – Sorry for my bad writing, I hope can you understand what I mean. I would like to get your opinion about the book ‘McGraw-Hill Education Toefl IBT with 3 practice tests’. do you recommend or not? Thanks for your response. We haven’t looked into this book that much yet, as it hasn’t seemed to really sell that much, compared to other third party TOEFL books. I can tell you that McGraw-Hill didn’t do all that great of a job with their TOEFL vocabulary book. They had trouble capturing truly TOEFL-like vocabulary (you can seeLucas’s review here). So that may indicate that McGraw Hill has similar issues in their main TOEFL book. Sorry I don’t have more info for you at this time. But thanks for asking for the info. If we get a few more studnent requests for this book, there’s a chance either Lucas or I will review it. Please review this series: https://www.amazon.com/Mastering-Skills-TOEFL-iBT-Advanced/dp/1599660539. Thank you very much. Have you looked at Pearson’s Express to the TOEFL iBT Test? No, but we do have reviews of two other Pearson TOEFL books, a review of the Longman Preparation Course for the TOEFL iBT Test, and a review of NorthStar Building Skills for the TOEFL iBT. As you can see in both reviews, Pearson tends to offer decent exam advice, and pretty good skills-building activities. But their actual practice test questions are not always the most authentic. Lately i’ve seen a new book for toefl “tactics for the toefl ibt test”. Could you please do a review on this book. From my stand point TPO 54 real TOEFL tests are the best. I have studied all TOEFL prep books. You know Barron’s was the worst. Although it had good skills, it’s 8 practice tests were the worst. Actually, they are so easy and cannot be counted as TOEFL tests. On the other hand, Oxford prep book is really good. It helped me a lot. I have a question for you. Could you please tell me if I should read 1100 words book or Barron’s essential words. Which book is the best source for TOEFL words SYNONYMS. First, thanks for sharing your own thoughts and experiences with some of these TOEFL books! Next, let’s look at good TOEFL vocabulary resources. Barron’s 1100 is a pretty good book, although the vocabulary in it isn’t TOEFL specific. In fact, many Barron’s words are more suitable to the GRE. Still, a lot of students have successfully used Barron’s 1100 for TOEFL study. To find out more, check out Chris’s review of Barron’s 1100 over on the Magoosh GRE Blog. As for synonyms, if you’re going to study them, I would advise pairing a good vocabulary book or flashcard set with a nice online thesaurus. (Webster’s online thesaurus is pretty reputable.) A thesaurus lists the synonyms and antonyms for words. I would honestly advise against too much synonym study, however. The TOEFL does not test synonyms directly. It does test your ability to paraphrase and your ability to recognize paraphrases. But paraphrasing skills are not quite the same as synonym skills. It’s probably better to focus your TOEFL students on paraphrasing than synonyms.